The Asics Gel-Electro 33 men’s running shoes feature FluidAxis technology that enhances the natural motion of your feet, making these neutral running trainers a top pick. The shoes are light at 241g (8.5oz), so they won’t weigh you down, and the Solyte® midsole cushions feet for more comfortable running. Great shock absorption comes from the rearfoot GEL® cushioning which enhances transitions, making running more efficient. The outsole uses AHAR+ material which not only improves durability but also provides more underfoot cushioning to smoothen ride. The sock-liner is removable, letting the trainers air or to accommodate orthotics, and reflective material on the upper makes you more visible in the dark. 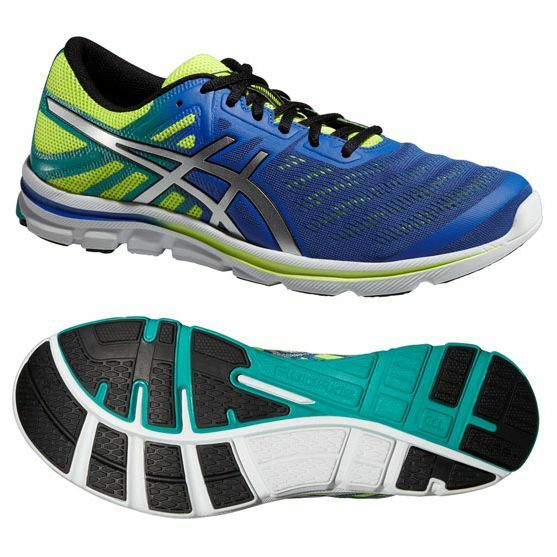 for submitting product review about Asics Gel-Electro 33 Mens Running Shoes.